Take in the views from a terrace and make use of amenities such as complimentary wireless Internet access and babysitting/childcare (surcharge). This hotel also features a television in a common area, tour/ticket assistance, and a ballroom. Make yourself at home in one of the 28 air-conditioned rooms featuring refrigerators. Complimentary wireless Internet access is available to keep you connected. Conveniences include phones and safes, and you can also request rollaway/extra beds. The Grand Hotel Faraglioni is set in the enchanting Cyclops Bay, on the lower slopes of Mount Etna between Taormina and Catania. The elegant hotel situated in the heart of Acitrezza, an old fishing town, has one of the most beautiful views of the coast and sea: the terraces and rooms overlook the ”Faraglioni” cliffs of Acitrezza from Greek mythology and the Norman Castle of AcicastelloThe environment is elegant and bright giving a unique relaxing atmosphere with particular attention to detail and offers its guests the prestigious welcome they expect. The hotel has 47 standard rooms all with balcony looking onto the spectacular view of the “Faraglioni”islands of Acitrezza and the Norman Castle. Pamper yourself with onsite massages or enjoy recreation amenities such as an outdoor pool. This bed & breakfast also features complimentary wireless Internet access, complimentary babysitting/childcare, and a picnic area. Overlooking the beautiful “Riviera of the Cyclops”, the excellent Marina Palace Hotel Spa & Congress Hall enjoys a wonderful setting in the ancient fishing village of Acitrezza. It is just a stone's throw away from the Mediterranean Sea, and the town centre with its restaurants as well as the marina is just a few steps away. Catania can be reached within a short drive, while Vincenzo Bellini Airport is only 15 km away. 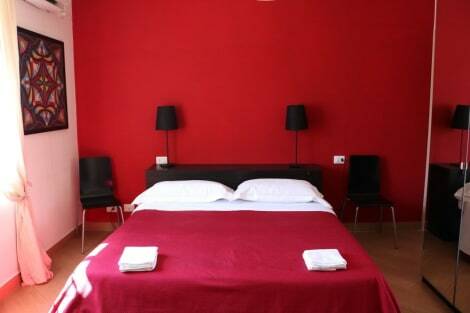 The well-appointed rooms are bright and friendly, in a modern design with light wood furniture. Most of them have a terrace, and features include air-conditioning and complimentary WIFI. The hotel boasts a rooftop terrace with panoramic views. Business guests will appreciate the fantastic conference centre, and the wellness area with fitness centre and splendid spa area invites to get pampered. The exquisite restaurant serves mouthwatering international and typical Sicilian cuisine. A great choice both for business and leisure travellers. lastminute.com has a fantastic range of hotels in Acitrezza, with everything from cheap hotels to luxurious five star accommodation available. We like to live up to our last minute name so remember you can book any one of our excellent Acitrezza hotels up until midnight and stay the same night.